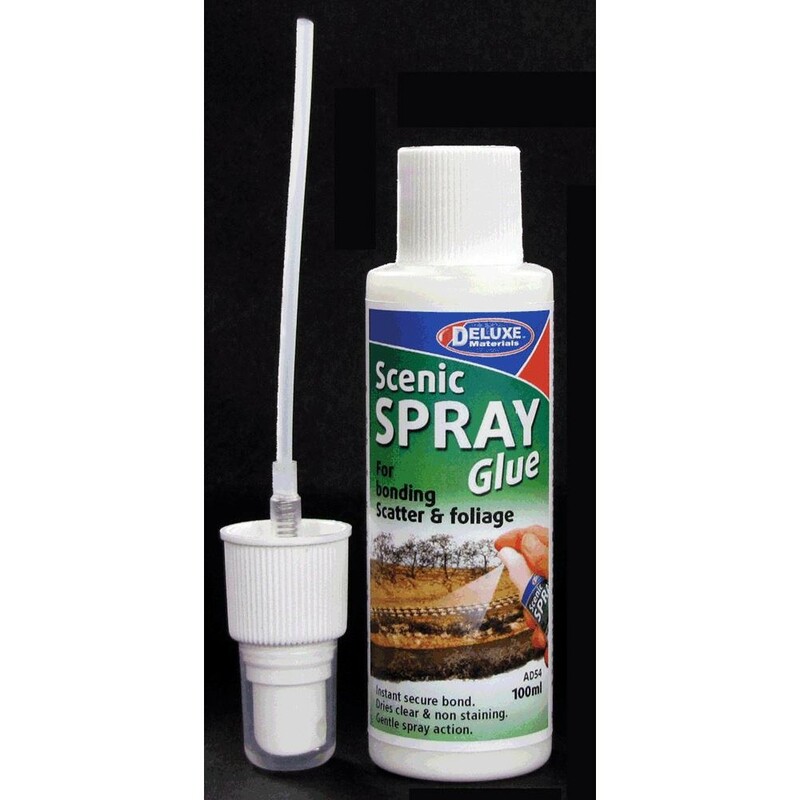 Spray glue for the attachment of scatter materials. Non staining. Dries clear and tacky. Gentle spray action.